Like all the best brands in the world, Blue Buffalo believes that your pet is your family. That’s why they take extraordinary care to ensure that everything going into making their dog and puppy food is not only of high quality but also natural. 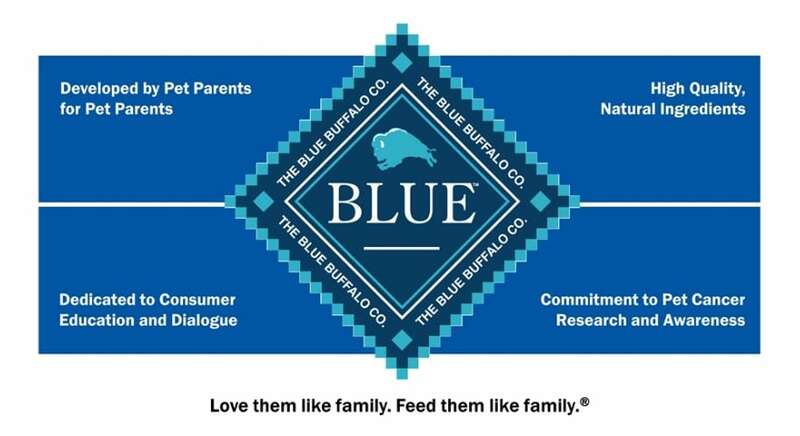 Blue Buffalo is by far one of the most popular brands in the nation today. That’s why we are going to tell you a little about the company and touch on a few of the different types of dog foods that they offer so that you are acquainted with what might be the number one dog food brand you didn’t know about. Blue Buffalo is an American pet food company that was founded just a little over a decade ago. This is technically a family run business and the idea to start Blue Buffalo came about when the founding family’s pet developed some health issues that needed special attention. Started by a father and his two sons, the family started looking for ways to develop their own dog food that was focused on not only improving but also maintaining the health of their pet. What they came up with was a wide variety of pet foods that followed different formulas to achieve specific health objectives for their pet and America as a whole. The pet food options provided by Blue Buffalo are grain-free meaning that they don’t contain any corn grains, soy flour or wheat grains. What stands out the most about this brand is that they use real meat as part of their various recipes which makes their dog food that much tastier for your furry friend. What’s So Special about Blue Buffalo? The thing about Blue Buffalo is that they take the time to come up with formulas that are specifically tailored to all kinds of dogs. Because this company was founded on the premise of trying to find the best nutritional solution for an ailing family pet, the owners are dead set on only giving your pet the best kind of food that is not only going to be tasty but also has a whole lot of health benefits to boot. Blue Buffalo is all about giving you an amazing range of choices from which to choose. Not only are the formulas nutritionally sound but they also come in a wide range of flavors such as turkey and potato, lamb and even garden vegetables. One of the main selling points for Blue Buffalo is the fact that they make their pet food as holistic and as healthy as possible. The way they do that is to use only natural ingredients provided to the company by American suppliers. Additionally, Blue Buffalo has patented LifeSource® bits that are found in every bag of pet food that they sell. These LifeSource® bits are loaded with minerals and vitamins that are carefully chosen because they have cancer-fighting properties. The patented LifeSource® bits were created with the help of highly qualified veterinarians in conjunction with the country’s leading animal nutritionists. Now that you know just how good these foods are, let’s take a quick look at a couple from the many diverse options available on offer. Blue Buffalo realizes that puppy food should be all about laying the best possible foundation for your puppy’s nutritional growth and health. That is why their puppy-centric kibbles are specifically engineered to achieve that, and the Blue Freedom Grain Free Puppy Dry isn’t an exception to that rule. If you want to mix things up a bit for your furry little friend, why not give him/her something other than dry food? The Blue Homestyle Recipe Wet is the perfect chow to get your puppy excited and surprised every now and again. These are just two options chosen to show you how diverse the range of selection is when dealing with Blue Buffalo as a brand. 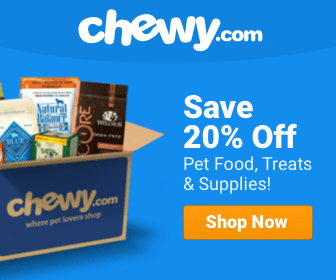 The best part is that all the options are available are specifically formulated to provide your pet with every nutritional value that they might need.